You are here: Home / Advertising / Dialing for Disorders: Let’s Move To Prevent Them By July 12! While we advocate strongly for Let’s Move’s obesity prevention and systemic health improvement, we also know that the heightened focus on weight (and constant media coverage of same) can invariably compound weight-related stigmas with unintentional reverb, including risky weight loss methods and development of eating disorders. Michelle Obama’s well-meaning fitness initiative can easily be more comprehensive and intervention focused by asking the first lady to expand the conversation and connect the dots between mental and physical health. Let’s take a well-coordinated, reasoned, holistic approach to conquering the stigmas, body dissatisfaction and socio-emotional harm rather than just skim the surface in ‘fat farm to fitness’ broad brushstrokes. I love how they’ve turned the concept of a walk into a lifestyle event by stepping it out into a scalable movement that can literally ‘travel’ to other regions and cities by branching out into best practices to uplift and inspire…kind of a ‘TEDx’ for healthy lifestyle changes! I can see how this would resonate for all ages and sizes to take steps towards ‘slow food’ and getting back to basics to simply eat/live closer to the earth, farther from processed and packaged. Seems like a win-win far beyond farmer’s market fare, teaming youth and education with the ‘eat local’ and sustainable eco-message, it really brings in a universally appealing fun/festival community flair to get people moving in a healthier direction! Oh, and btw, speaking of health…. 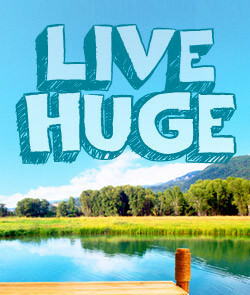 For those who’ve been asking about my take on the new show “Huge” that premiered last night? I’m not a reviewer, I’m a media/marketing analyst of how messages land on kids, and a media literacy proponent. So here’s to new shows like Huge that COULD help out in this conversation…And to the EDC cutting a wider swath in a bigger discourse involving obesity as well. Both are giant steps towards a more humane, educated, viewing audience and public at large…We have a large pendulum swinging wildly with polarity and extremes. C’mon media producers, Let’s Move it. Below are some out-takes from the discussion draft that resonated with me. These are slated for Congressional sign-on by close of business July 12 sent out via the EDC. If you’d like to urge your representatives to widen the obesity-access-fitness conversation, please sound off before July 12! 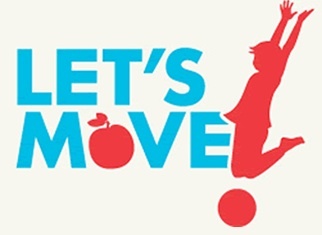 Let’s Move in the right direction for kids’ health overall! I LOVE this chef partner program and the school gardens project, HUGE headway!